First of Lincolnshire: 2, 7. A belated 60th birthday compliment to Rosemary Ruddick. First submitted Sunday, 10 February 2019 at 22:24:54 by Ian V J Smith. 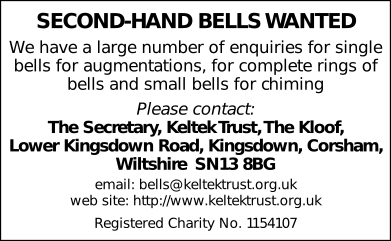 Sent for publication in The Ringing World on Sunday, 10 February 2019 at 22:25:29.